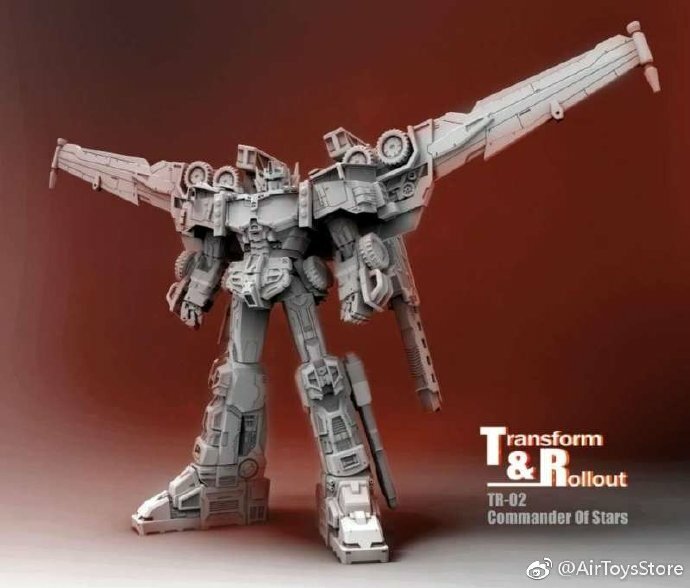 Via*AirToysStore Weibo*we can share for you the first renders of the*Transform And Roll Out TR-02 Commander Of Stars (Cybertron Optimus Prime). * This is the second project of 3P company Transform And Roll Out (they had released a MP scaled G1 jazz before) and they surprise us with a non-G1 character this time. They brings us an improved rendition of Cybertron Optimus Prime. The renders show a figure that keeps the spirit of the original character and toy, but a bit more stylized and proportioned body. We can expect better articulation compared to the original toy. According to the &#187; Continue Reading. The post Transform And Roll Out TR-02 Commander Of Stars (Cybertron Optimus Prime) Renders appeared first on Transformer World 2005 - TFW2005.COM.